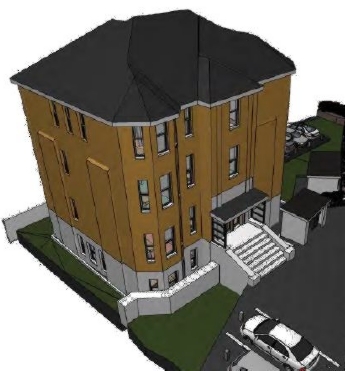 Bournemouth Borough Council: Pure Town Planning are delighted to announce that in conjunction with Elcock Associates, we have recently secured a valuable planning permission for the alteration, 3rd floor extension and conversion to 10 residential flats in Lorne Park Road in Horseshoe Common, central Bournemouth. The approved scheme will transform the existing 3 storey period villa (currently in office use) increasing the building to 4 storeys, providing much needed accommodation with associated parking in the heart of Bournemouth Town Centre. This central location has seen a considerable degree of urban renewal in recent years paving the way for substantial 3/4 storey residential redevelopment of many ageing buildings in the locality. With this surrounding increase in built form, the proposed 3rd floor extension and residential conversion of the former office building is seen to be a suitable addition to this spate of urban renewal without creating any harm to the appearance of the area or the amenities of its neighbouring properties. 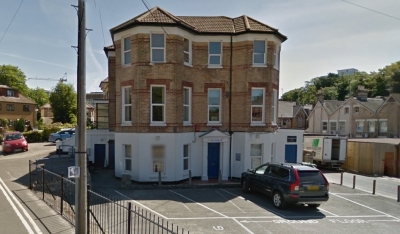 The building is sited on an island location and prominent in the Cumnor Road/Lorne Park Road street scene and considered more than capable of the additional 3rd floor in the context of its surrounding built form. The proposed residential conversion was also an opportunity to significantly improve the landscaping arrangement on site, which is currently extensively hard landscaped, used for car parking in association with the current office use. The approved scheme will greatly improve the soft landscaping on site in order to provide additional amenity space to the proposed 10 flats. Additional boundary brick walls will help to enhance the boundary treatment and improve the visual amenity of the site from Lorne Park Road. The approved scheme will be a welcomed addition to the town centre area creating a new residential development of high quality accommodation, ample parking and increased garden amenity space whilst also safeguarding against any harmful impacts to the surrounding neighbouring properties on both Cumnor Road and Lorne Park Road, breathing new life into this former office building. All in all, this residential redevelopment scheme has been another successful collaboration between Pure Town Planning and Elcock Associates, delivering a comprehensively designed and managed application from start to finish. As you can see, here at Pure Town Planning, we like nothing more than securing planning approvals for our clients. If you are working on a residential/office development and are looking for a firm who will work tirelessly to steer your development through the planning process and secure that all-important planning permission, then why not give us a call or send us an email to info@puretownplanning.co.uk.